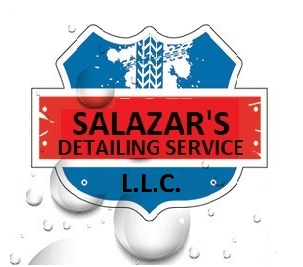 Salazar’s Detailing Service L.L.C. is a family – owned and operated mobile detailing company. Since 2011 we have been offering the valley and local businesses a more convenient and affordable alternative to keeping personal and company vehicles clean. We are 1 of 2 detailing companies certified with the city of Phoenix, a preferred merchant of Living social, and a top rated company by Google. We only use 100% Eco-friendly products for the safety of kids, pets, and to respect our environment. At anytime if you are not happy with any aspect of our visit we will make it right guaranteed!